You Promise Gigabit Speeds. Now You Can Prove It. As the demand for faster networks grows, service providers must ensure their customers receive the speeds they pay for, but struggle to easily verify the service level agreements. The AirScout® GigaCheck offers service providers a quick and easy way to help validate their SLAs and meet customer expectations. 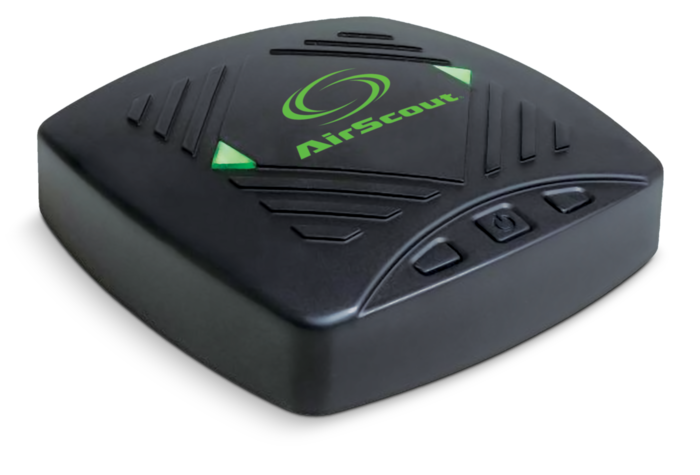 The AirScout GigaCheck unit, controlled via smartphone app, connects directly to a customer’s residential gateway. It then tests WiFi coverage and verifies the upload and download speeds of the wired Ethernet connection in real-time, all the way up to 1 gigabit. Technicians can also easily test WiFi speeds up to 1.3 Gbps from different areas of the home to ensure the customer is getting the performance they expect, where they expect it. The intuitive user interface of the mobile app and cloud based reporting tool makes it easy to generate, view, and send reports – giving you and your customers and access to the most up to date information. Please call customer service at 1-800-642-2155 for any questions on selecting the appropriate Instruction Manual or Service Bulletin.